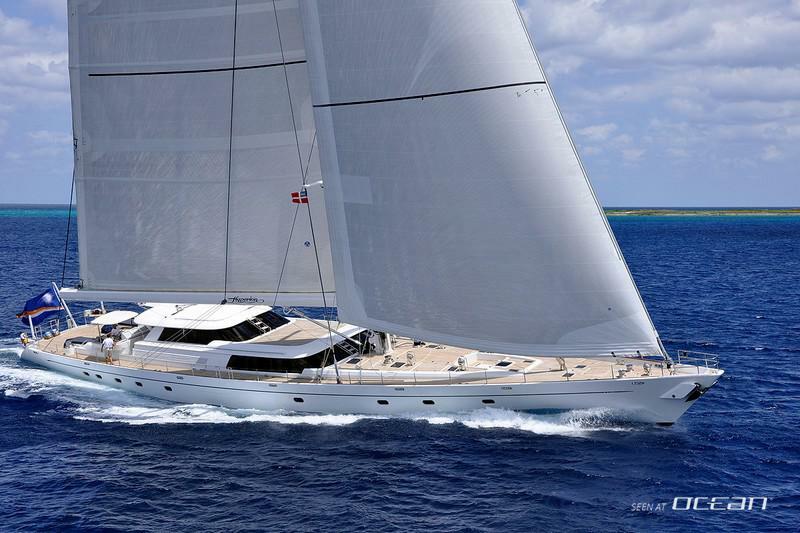 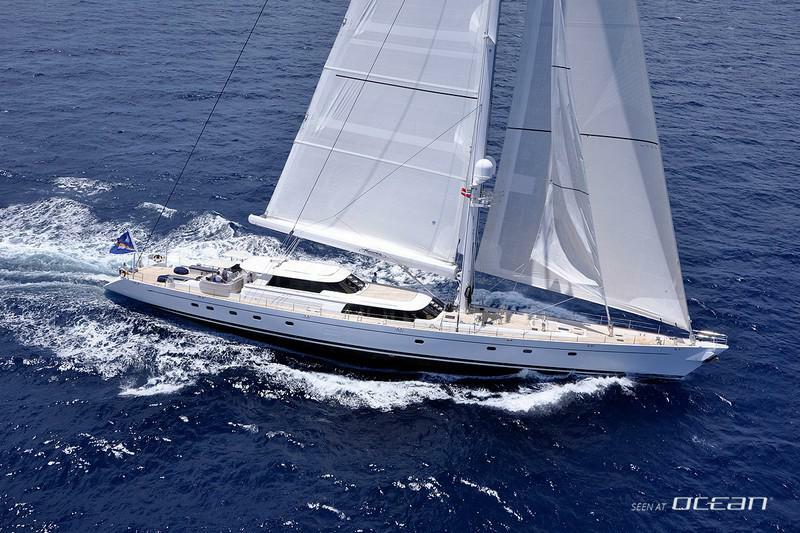 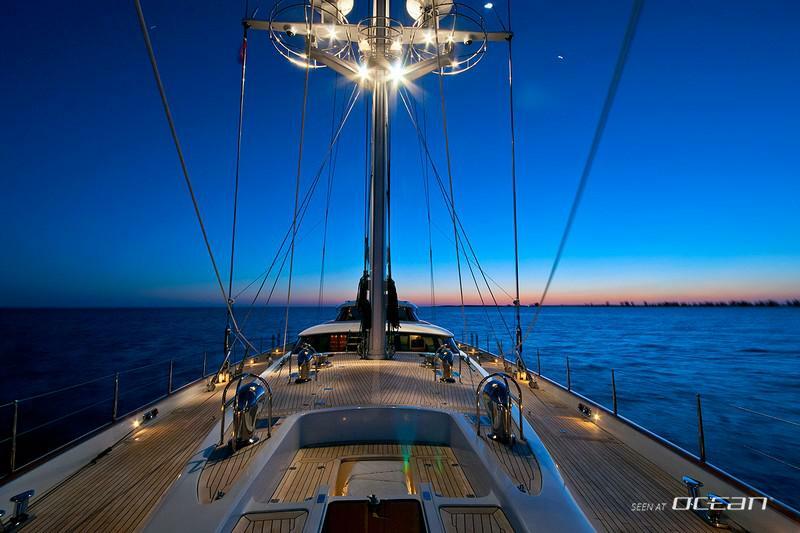 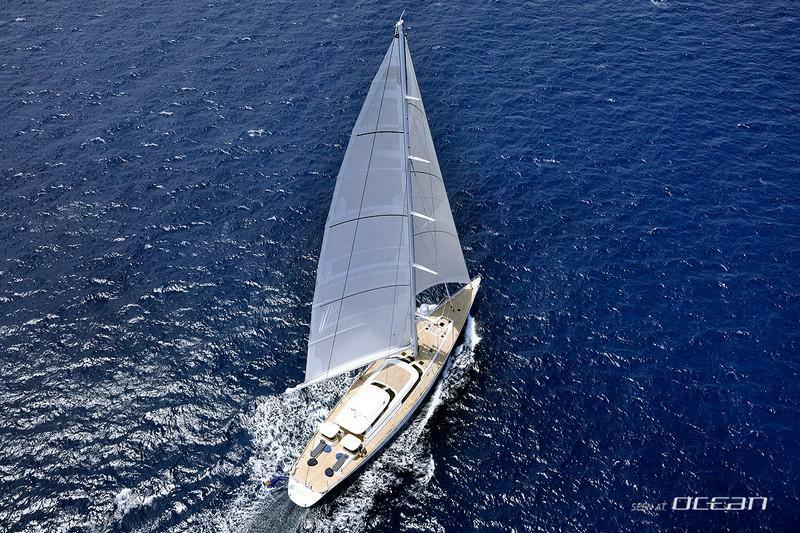 HYPERION luxury sailing yacht for charter has undergone an extensive 9-month refit at the Royal Huisman shipyard in the Netherlands 2015. 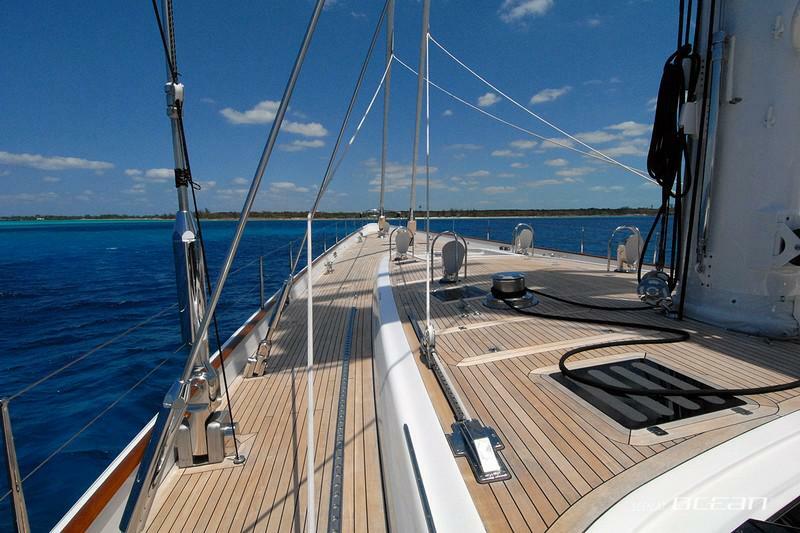 She is now better than ever after she has had a completely new hull and superstructure paintjob, all new teak deck and saloon windows, replacement of the engine, new shore power conversion, new refrigerator systems, renewal of the complex alarm-monitoring system and many more. 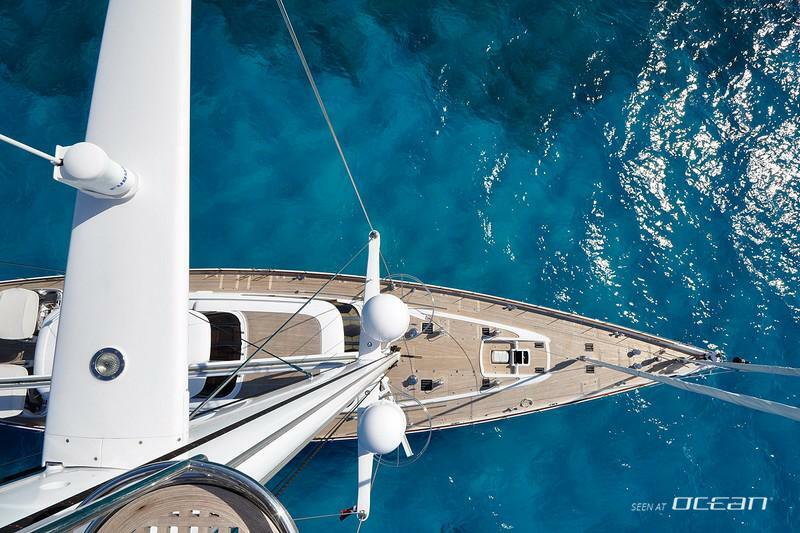 HYPERION yacht is now confirmed for summer charters in the East Med and provides a luxury five-star treatment to guests seeking for an unforgettable sundrenched holiday in Croatia. 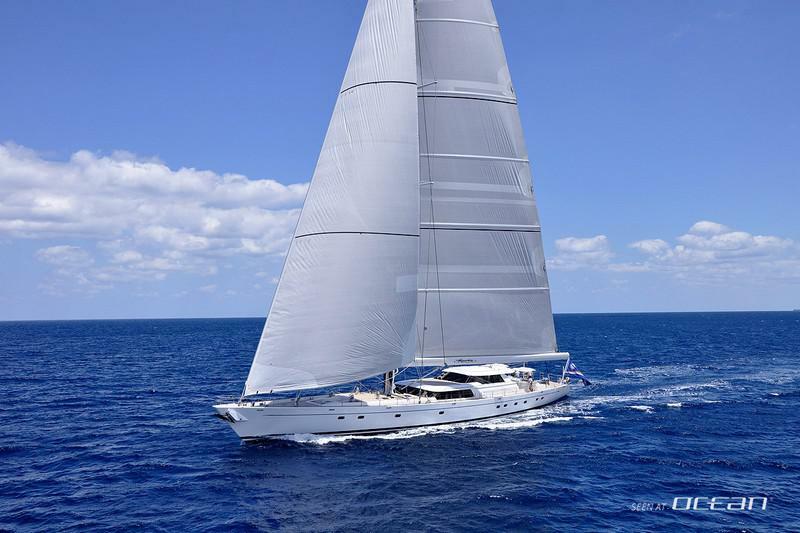 Ideal to cruise more than 1200 islands only along the Adriatic coast she is the ideal sailing yacht for hire to spend a holiday in style and discover enchanting places of inspiring beauty, picturesque seaside towns and amazing cultural treasures. 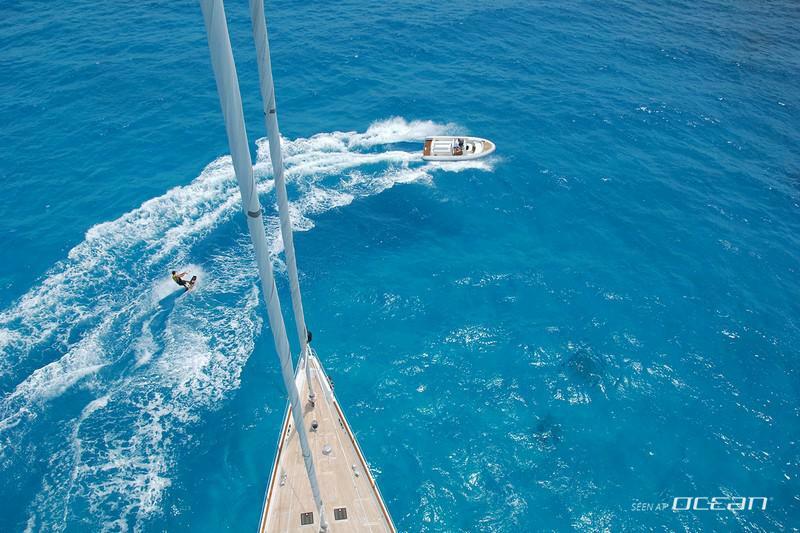 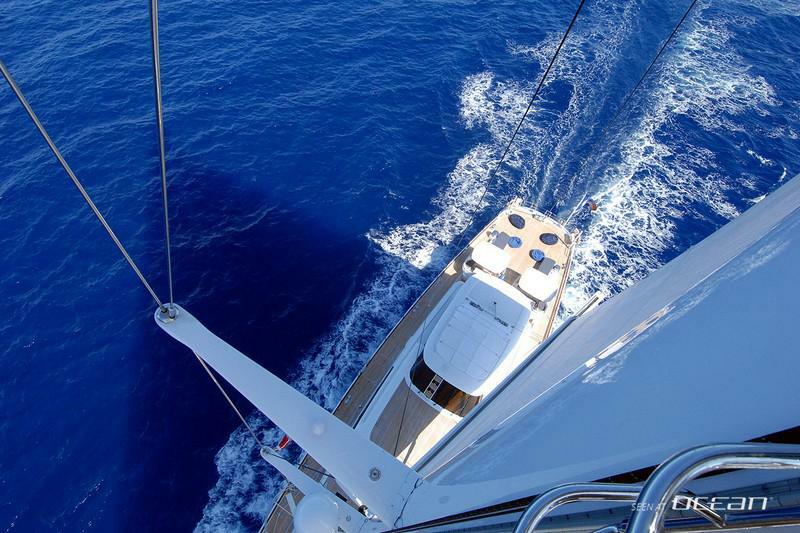 HYPERION is available for charter in Montenegro, Greece and Turkey on request as well and the yacht is still scheduled to be available in the Caribbean during winter season ideal to escape northern hemisphere cold seasons. 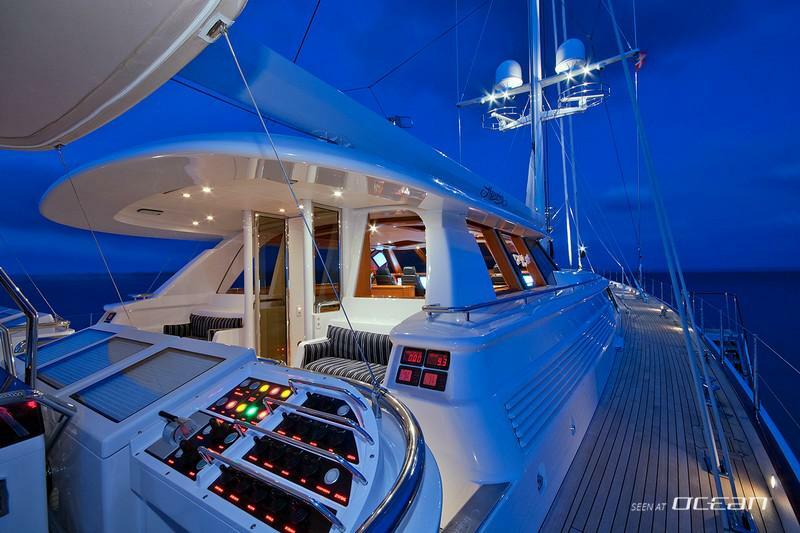 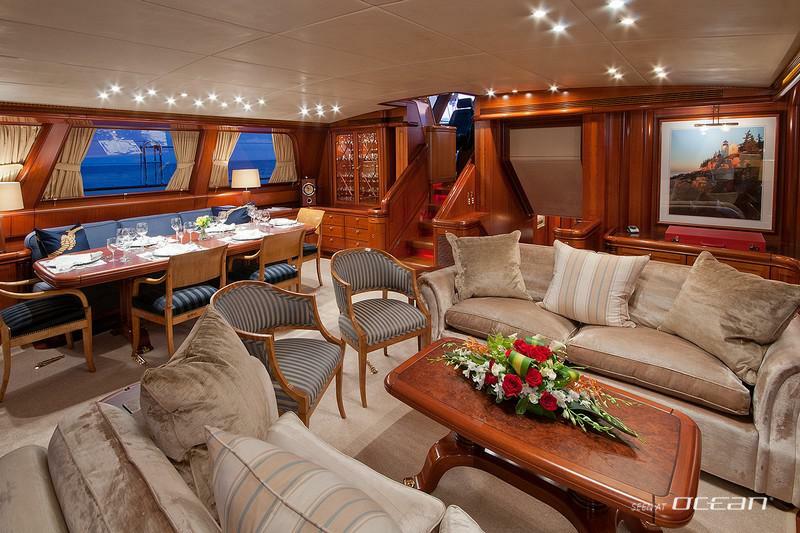 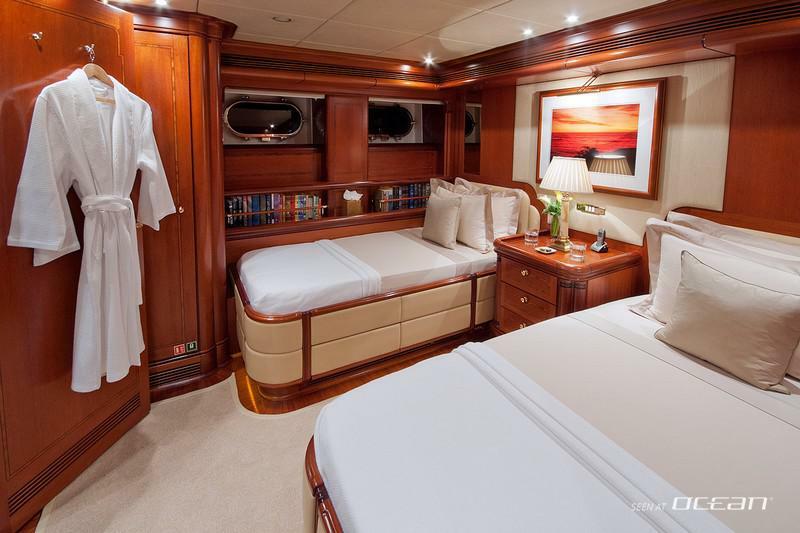 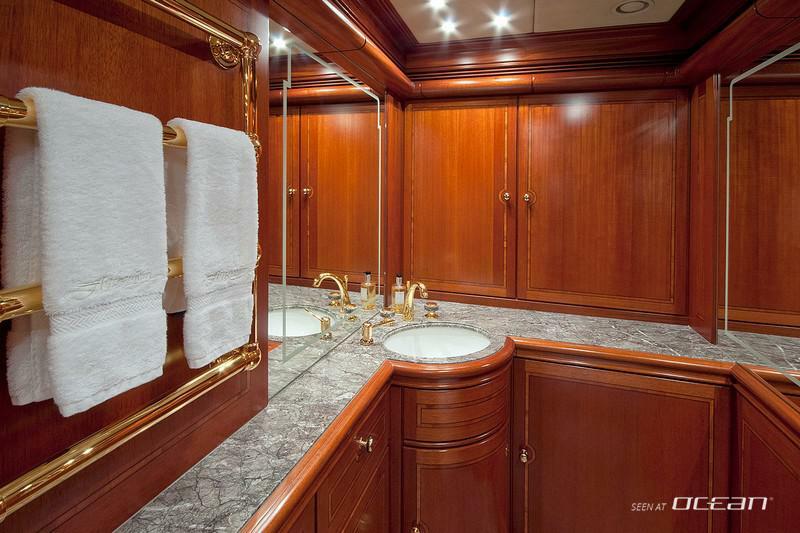 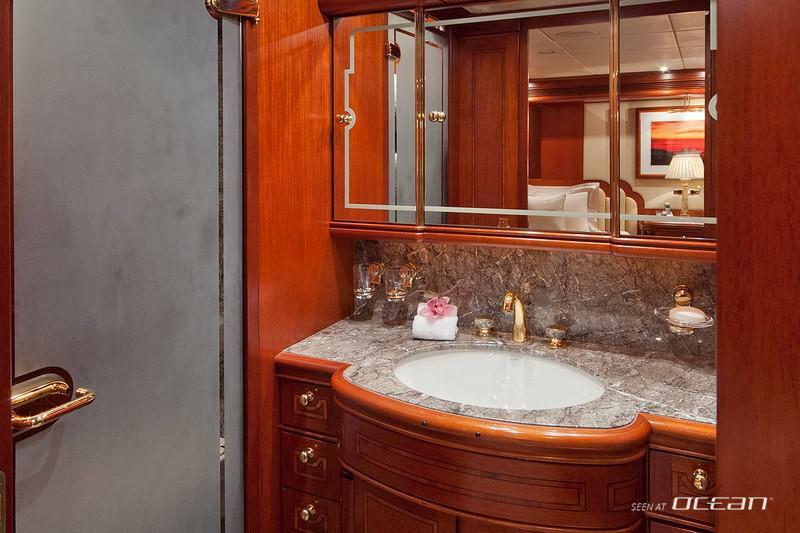 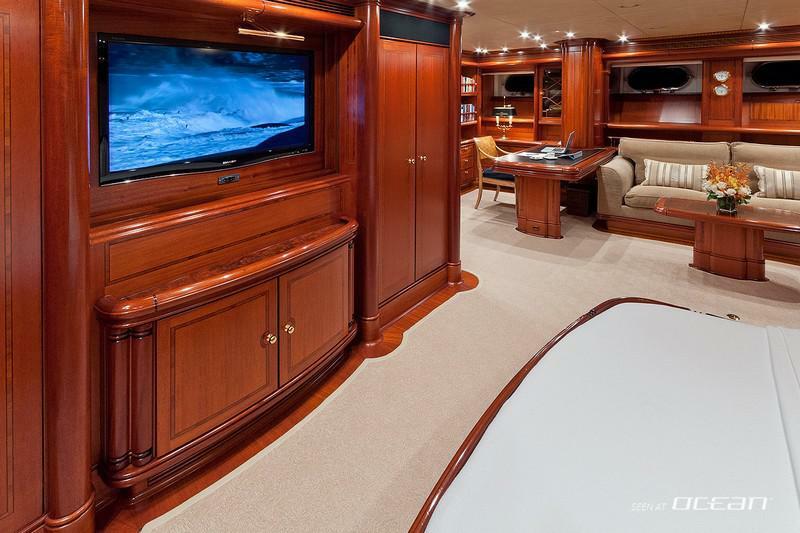 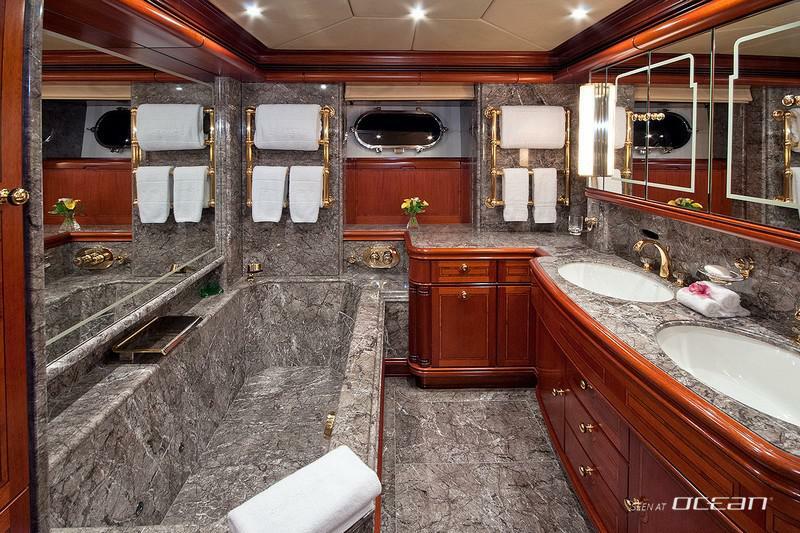 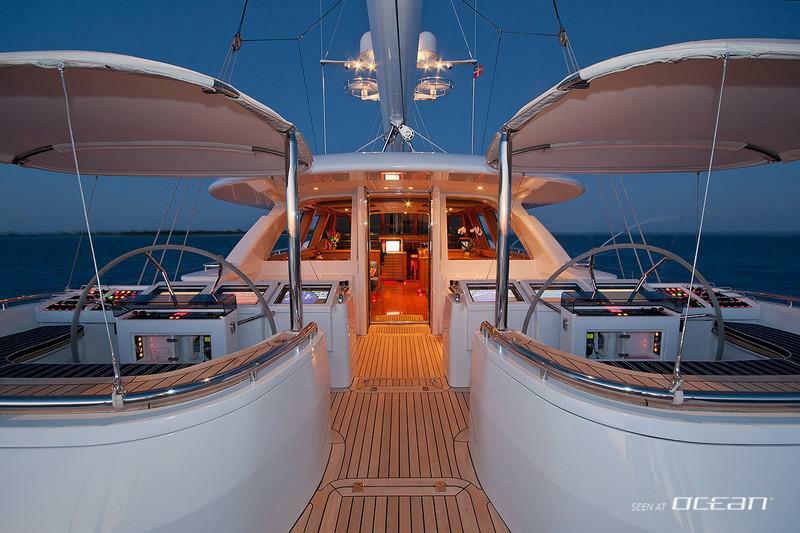 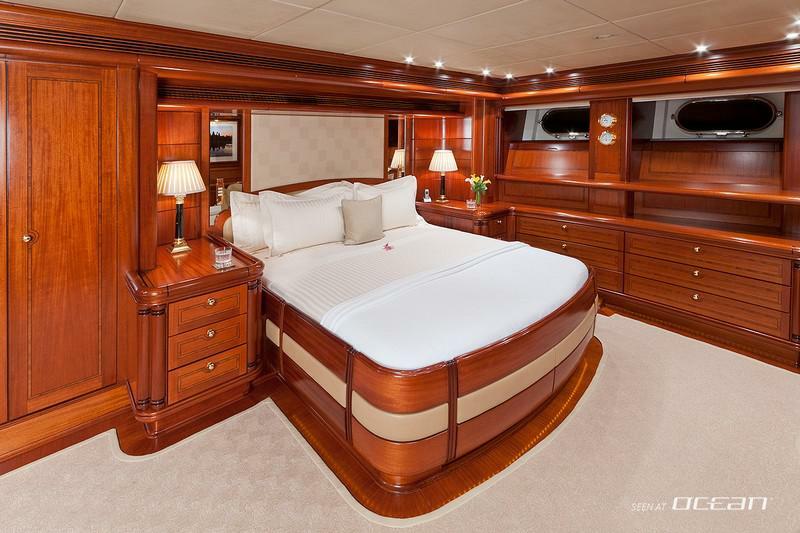 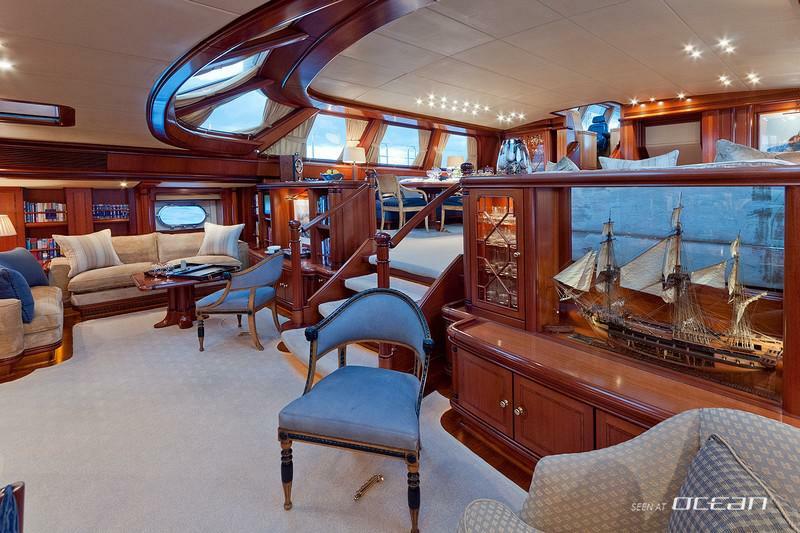 Charter yacht HYPERION boasts with a spacious master suite cabin including a luxurious office and an adjacent relaxation area. 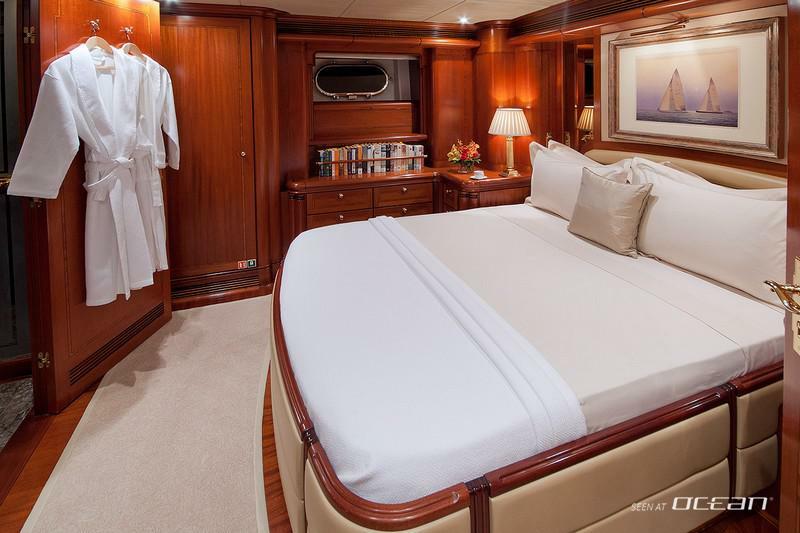 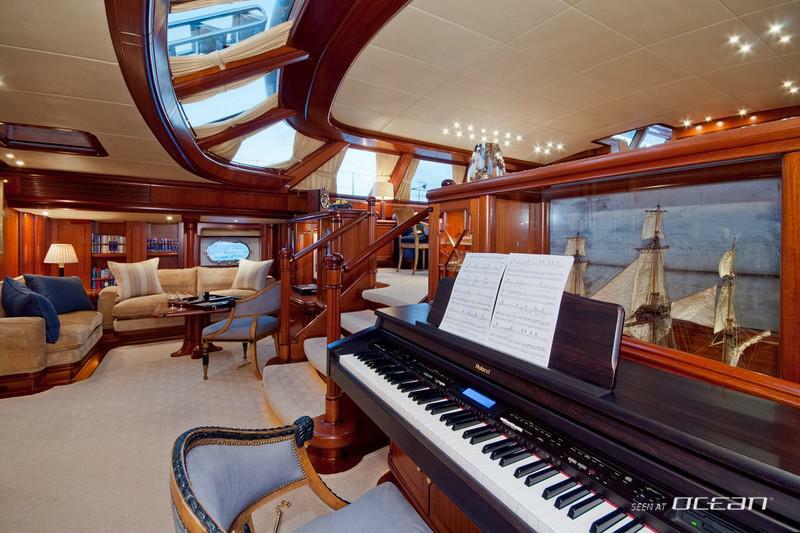 Other key features are a large pilot house and a spacious saloon fully loaded with latest state-of-the-art entertainment equipment which is available in all guest cabins as well. 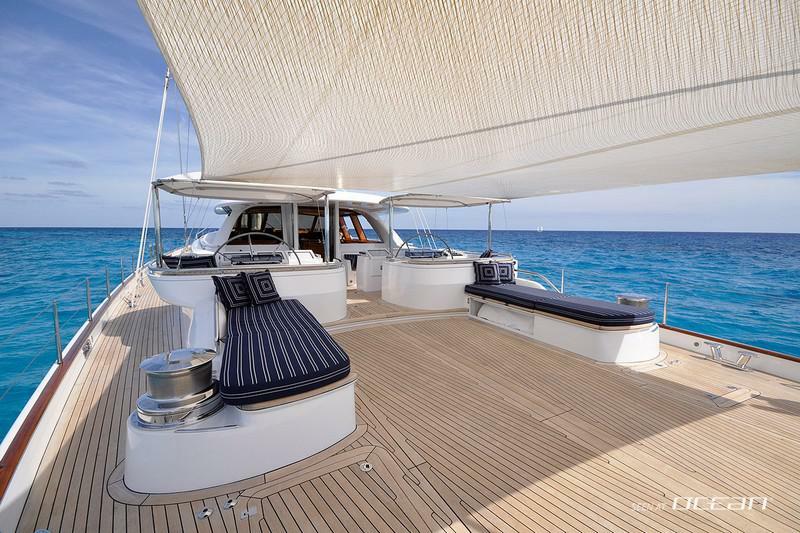 HYPERION sailing yacht offers ample storage space on board and boasts with a chic 200-bottle temperature controlled wine cooler. 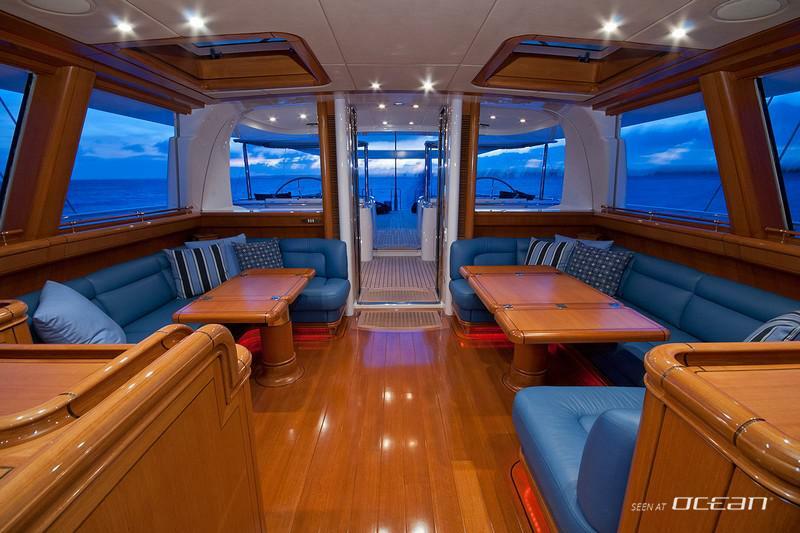 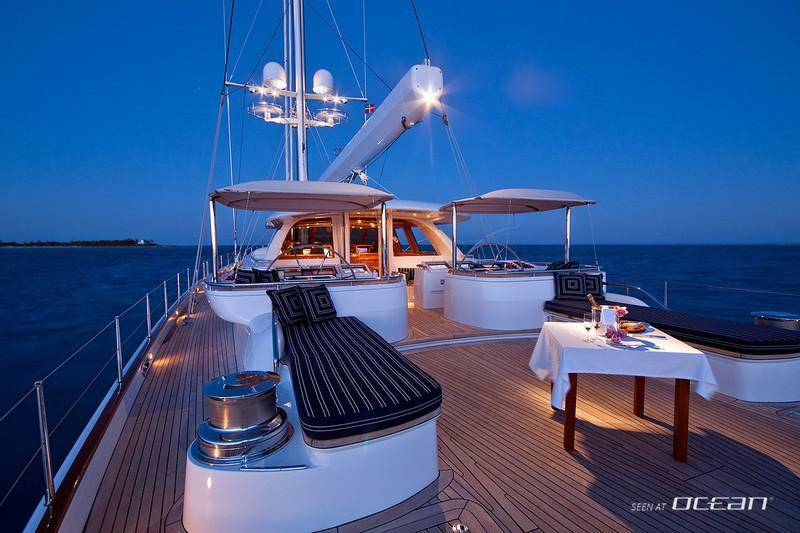 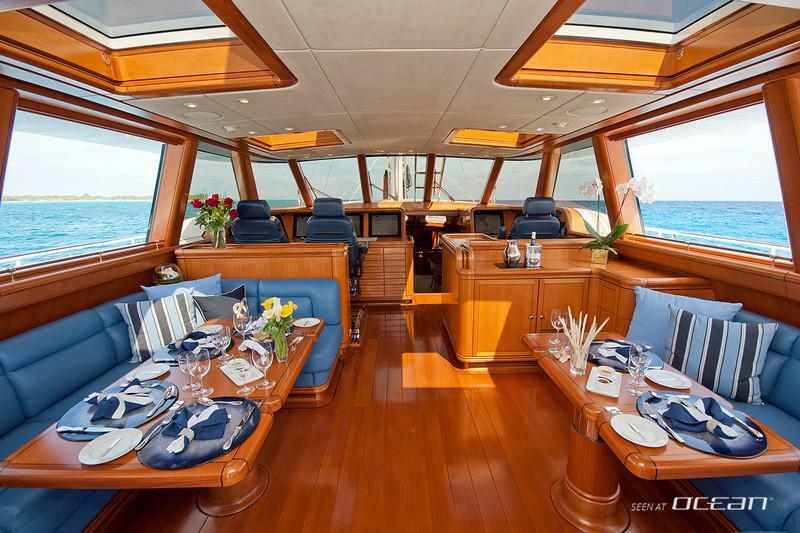 Enjoy your favorite wine lounging on the sundeck and make use of the practical and safe swimming platform located aft. 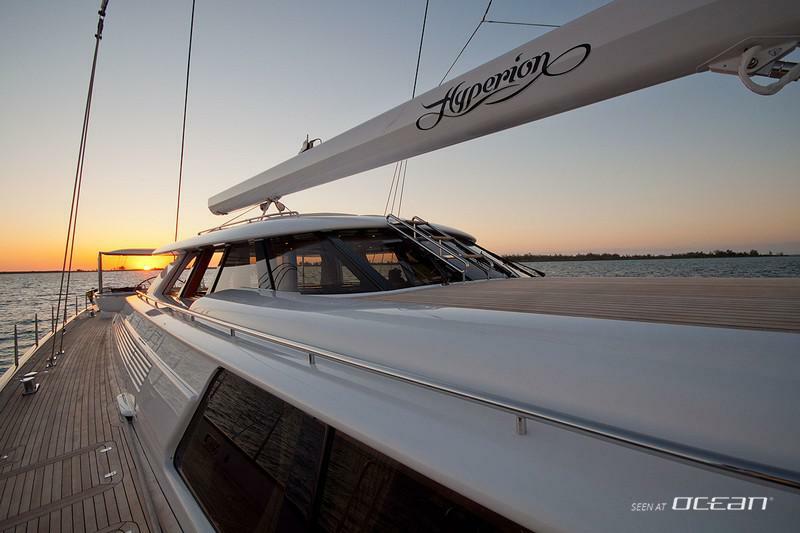 Sailing yacht HYPERION is the ideal floating luxury apartment for families and couples looking for an unforgettable time on board cruising the endless Croatian coast this summer. 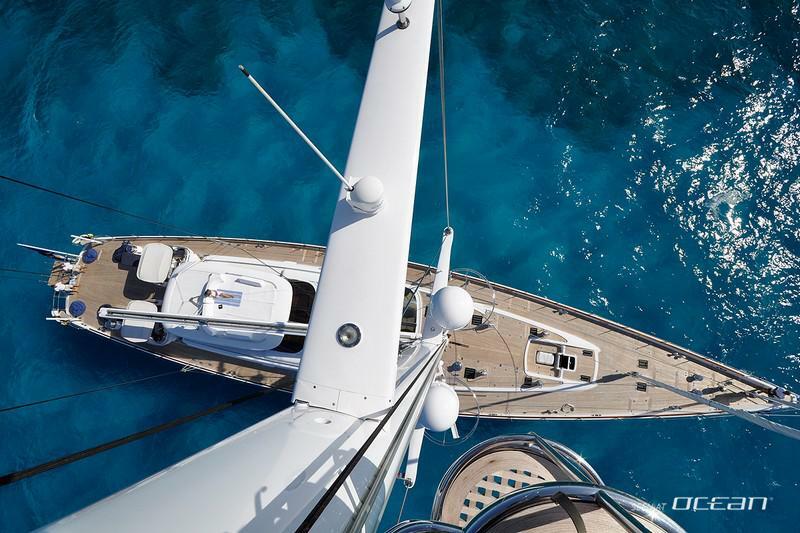 Please contact us for more details and request a brochure with new images as well as crew profile and references.